Although some of us are still recovering from the winter or dreading another nor’easter, spring has officially started in Maine. As temperatures rise, many have already begun looking for a way to get outside and celebrate the outdoors. Luckily, Maine has no shortage of outdoor attractions, and many are accessible to those with limited mobility and people with disabilities. Acadia National Park is boasted as one of the most accessible in the nation. 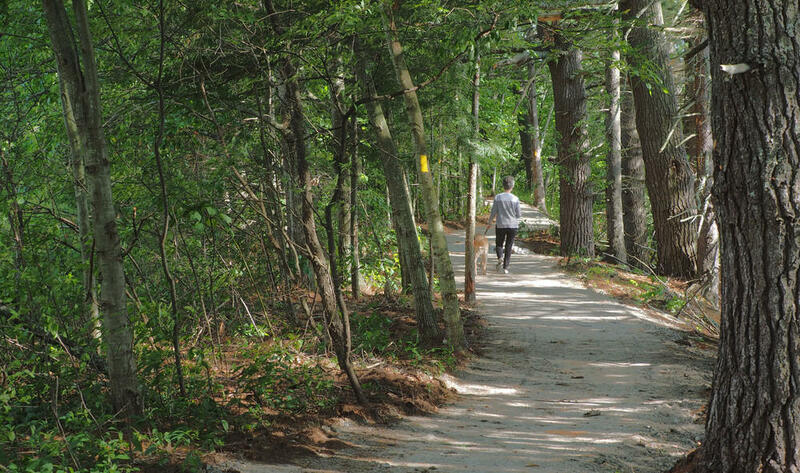 The park is home to several wide carriage roads and there are accessible trails surrounding both Bubble Pond and Eagle Lake. The Eagle Lake Parking area also has wheelchair-accessible restrooms and parking. Additionally, at Wildwood Stables horse-drawn carriages are able to accommodate two passengers using wheelchairs with up to four additional passengers for tours. The Valentine Farm Universally Accessible Trail is just over a mile and overlooks the Androscoggin River. The aptly named Valentine Farm Universally Accessible Trail is just over a mile and has a crushed gravel surface that is level and able to accommodate wheelchairs, strollers and walkers. The trail overlooks the Androscoggin River is known as a blueberry hot spot. The Southern Corea Heath Trail is a short, wheelchair accessible trail that leads to an observation deck that overlooks Corea Heath. 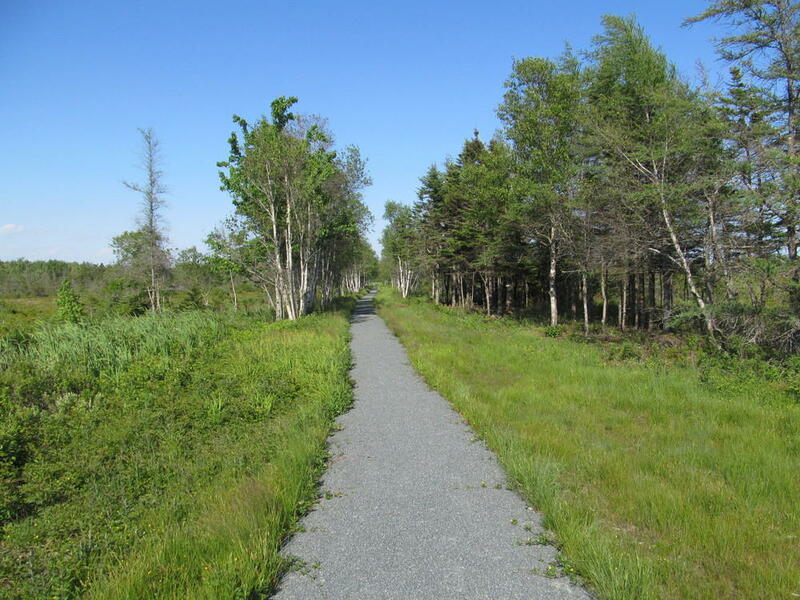 This trail is a part of the Maine Coastal Island National Wildlife Refuge, meaning the chances of spotting wildlife, especially seabirds, are pretty good. Range Pond State Park in Poland is completely handicapped-accessible. There are two miles of trails, including a half-mile along the namesake-pond. There is even a “swimming transition dock” for wheelchair users along the beach. The park has also has two handicapped-accessible playgrounds. 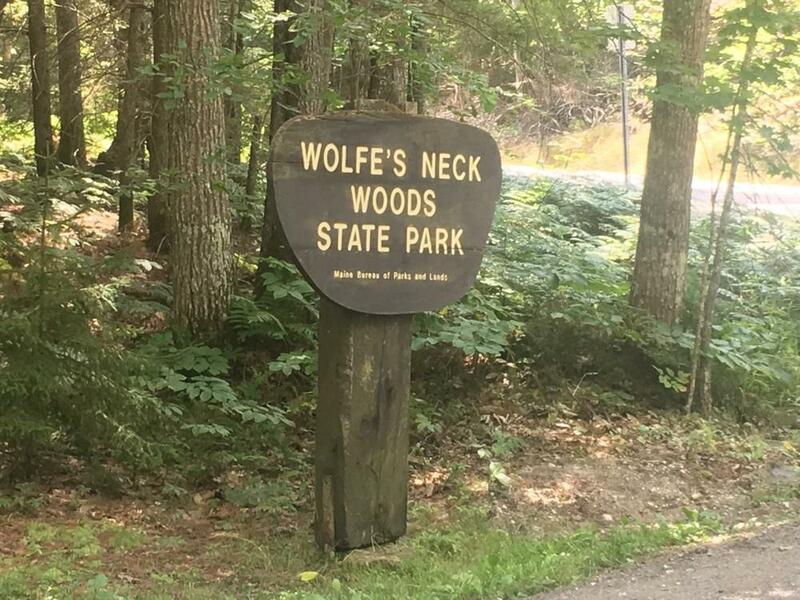 Wolfe’s Neck Woods State Park near Freeport boasts the three-quarter-mile, gravel White Pines Trail, which is ADA-compliant, and there are several additional walking trails along the shoreline that are wheelchair accessible. Wolfe’s Neck is known for its famous residents - the Osprey, who nest on Googins Island, about 200 yards off the coastline of the park. The guided nature programs at the park even offer hikers a chance to see the baby birds in their nests at certain times of year. 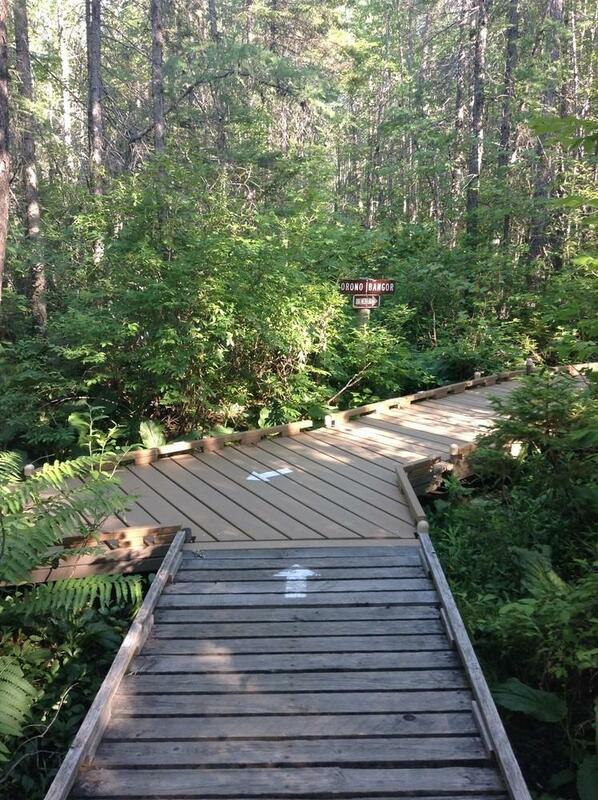 The Orono Bog Boardwalk is a 4,800-foot, wheelchair accessible, wooden walkway located in a natural wetland and passes through a mixed wooded fen and then loops around a northern peat bog. 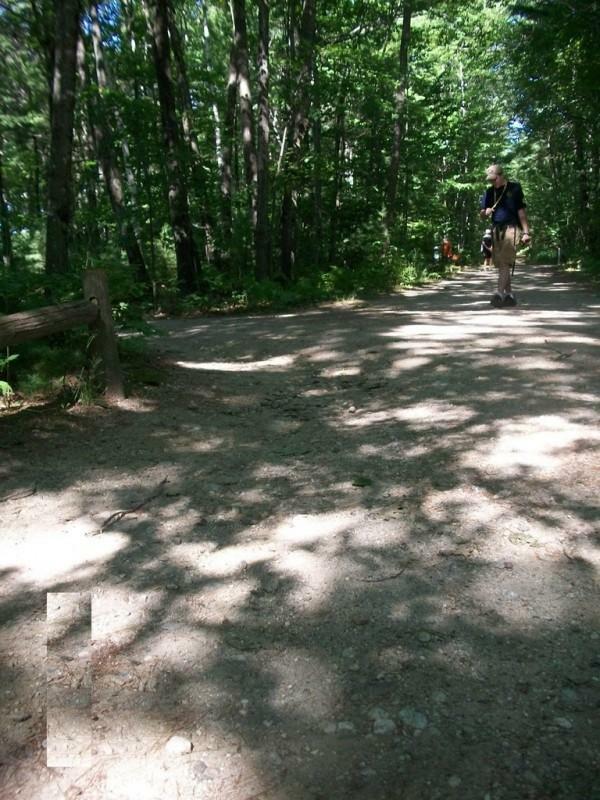 More resources for finding accessible hiking trails can be found at TrailLink and Maine Trail Finder. You can find more information about what makes a trail ADA compliant here. 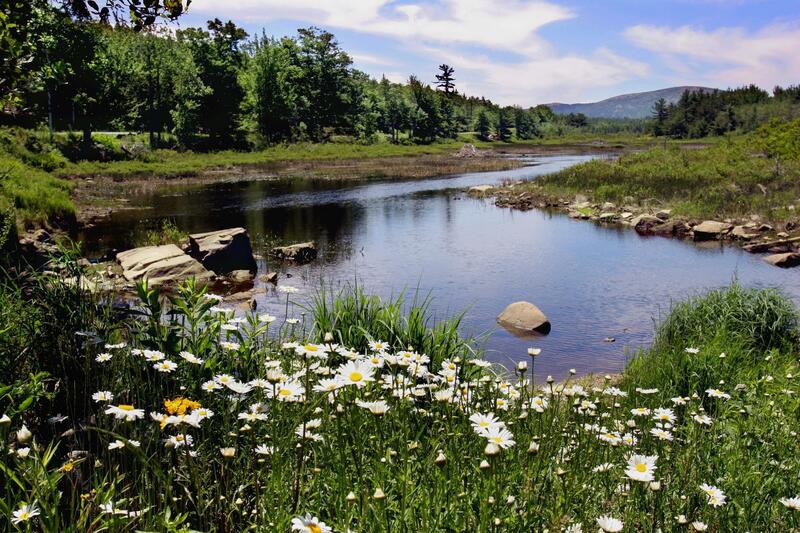 Additionally, Rex Turner, the outdoor recreation planner at the Maine Department of Agriculture, Conservation and Forestry, compiled a list of hiking trails for beginners, families, experienced hikers and everyone in between.